Winning Karnataka, a state of that is home to Bengaluru, the IT hub of India, will boost the BJP's confidence ahead of the general election. 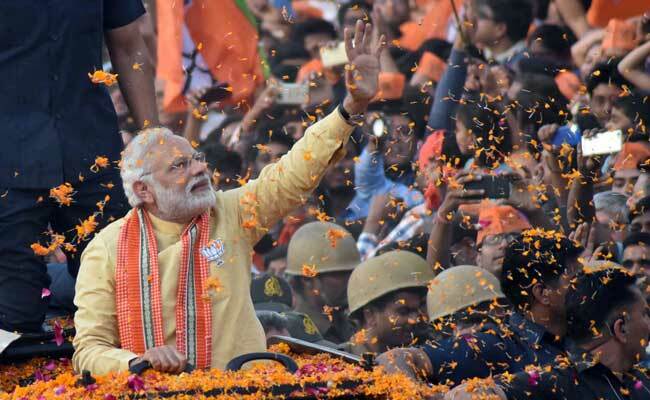 Prime Minister Narendra Modi's Bharatiya Janata Party is set to wrest power from the Congress party in the southern state of Karnataka, a win that will give his ruling party momentum going into the 2019 general election. The BJP was leading in 117 seats in the 224-member assembly, according to the television channel NDTV 24x7. The Congress party, which has governed Karnataka for the last five years, was ahead in 59 seats, it said. Regional party Janata Dal (Secular) was leading in 44 seats. A party needs 112 seats for a majority in the state assembly. Winning Karnataka -- a state of that is home to Bengaluru, the IT hub of India -- will boost the BJP's confidence ahead of the general election. And it means the Congress party, which ruled India for most of its independent history, now only controls one large Indian state, making it more difficult to revive the party's momentum. It demonstrates the BJP has popular support outside its traditional base of support in north and western India, said Pratyush Rao, associate director for India and South Asia at Control Risks, a consultancy. "Although the election was fought on local issues, the BJP's performance will put to rest growing speculation, particularly in the aftermath of recent by-election losses in Rajasthan and Uttar Pradesh, of the party losing political momentum due to factors such as mounting rural distress and poor job creation," Rao said. "Where the primary electoral contest is between the BJP and the Congress, the BJP remains the party of choice." After the defeat in Karnataka, a state of more than 61 million people, Congress is left with just Punjab, apart from the small hill state of Mizoram and federally-administered Puducherry. If the BJP forms the government in Karnataka, it will control 21 states with alliance partners out of 29, a record for the party. The BJP and Congress will next fight in December elections in three key states currently ruled by the BJP -- Rajasthan, Madhya Pradesh and Chhattisgarh. Karnataka, home to local offices of Intel Corp., General Electric Co. and International Business Machines Corp, has swung from party to party since 1985. The electoral contest has descended into bitterness in recent weeks as PM Modi and Congress President Rahul Gandhi addressed rallies and traded barbs on corruption and farmers welfare policies.